Laura is the Dance Teacher for Welwyn Garden City (Tuesday), Hatfield and Arlesey classes and also provides private and weekly lessons for adults as well as children including Disco Duck lessons. At weekends Laura is Dance-Beat’s party instructor. Laura has been dancing since the age of 8 and after competing in many competitions and performing in shows she decided to develop her love of dancing by training as a dance teacher. Laura gained her Btech National Diploma in Early Years and while working as a Teaching assistant she gained her Associate with the Imperial Society of Teachers of Dance, in Disco Freestyle and Rock n Roll. Laura also has a qualification in Cheerleading. Over the years Laura has put her skills and qualifications to good use setting up afterschool clubs in Wheathampstead, developing dance classes in Hatfield and also running workshops for Local Councils. Laura has trained many pupils for ISTD competitions and exams and ensured they have all gained a high level of success. With many years of experience Laura provides high quality parties to children of a range of ages. During her time as a dance teacher one of her favourite things was a Wedding flash mob and also a flash mob to help Stevenage Borough Council celebrate 50 years of play! Laura also organised Dance-Beat’s show in March 2017 at Hatfield University theatre where she enjoyed giving pupils the opportunity to perform. Laura is highly committed to Dance-Beat and provides lots of different events for the children to take part in. She is always improving her dance knowledge and learning new techniques to teach to her pupils and continues to pass on her love of dance. 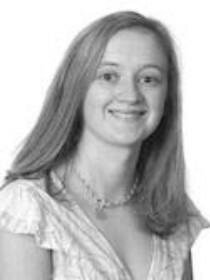 Laura is also well known in Hertfordshire for teaching Disco Duck lessons and providing Disco Duck parties! Laura has her professional Chaperone license and is looking forward to the future of Dance-Beat.